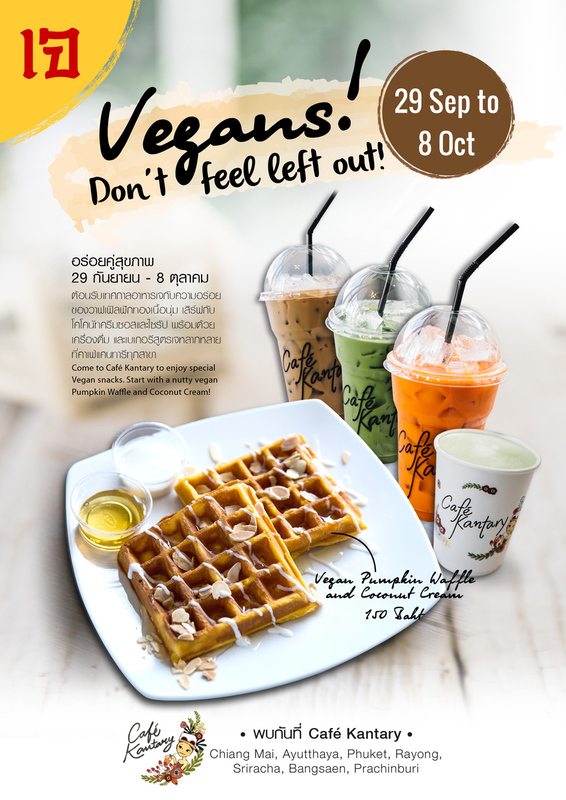 29 September – 8 October , Café Kantary invites you to enjoy our Vegan Festival. Be part of the event. Come to Café Kantary to enjoy special Vegan snacks. Start with a nutty Vegan Pumpkin Waffle and Coconut Cream from our range of delicious drinks and bakery. Share it with friends, or enjoy it yourself. Celebrate with us. Available at Café Kantary locations throughout Thailand! วันที่ 27 กันยายน 2559 เวลา 11:30 น.